Shirts With Random Triangles: Bo Pelini issues apology for profanity-laced rant about Nebraska fans. Nebraska chancellor, AD, respond. 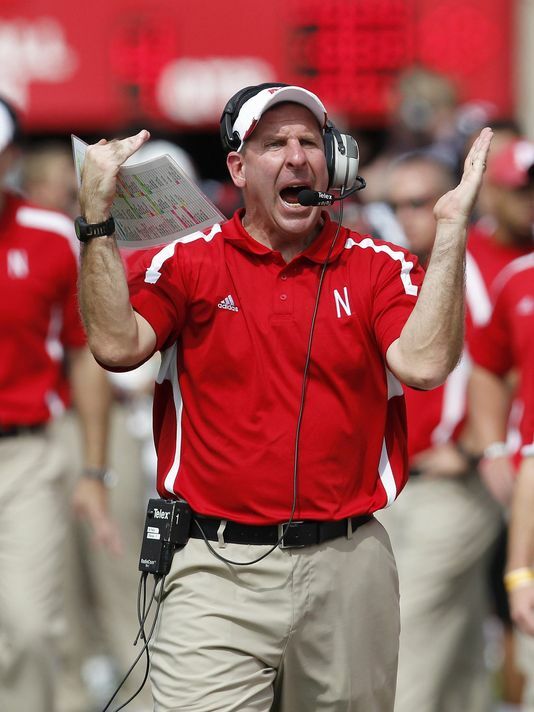 Bo Pelini issues apology for profanity-laced rant about Nebraska fans. Nebraska chancellor, AD, respond. Nebraska head football coach Bo Pelini has issued an apology for profanity-laced comments made about Cornhusker fans in a piece of audio released by Deadspin on Monday. "I want to sincerely apologize for my comments from two years ago which became public today," Pelini said in a statement released by the school Monday night. "I take full responsibility for these comments. They were spoken in a private room following the Ohio State game. I was venting following a series of emotional events which led to this moment. That being said, these comments are in no way indicative of my true feelings. I love it here in Nebraska and feel fortunate to be associated with such a great University and fan base. I again apologize to anyone whom I have offended." University of Nebraska chancellor Harvey Pearlman released a statement about Pelini's comments, saying "I am aware of the publication of Coach Pelini's comments, I am disappointed and in discussions with Shawn Eichorst about addressing the issue. Nebraska athletic director Shawn Eichorst also released the following statement. “I am disheartened and disappointed by the 2011 comments published today attributed to Coach Pelini about our dedicated and passionate fans and supporters. I have spoken with Chancellor Perlman and I have addressed the situation with Bo and expressed our deep concern." It's going to be an interesting week leading up to Nebraska's home game against South Dakota State on Saturday.